The classically turned front legs of this side chair are contrasted by its simple clean lines and nailhead trim accents. 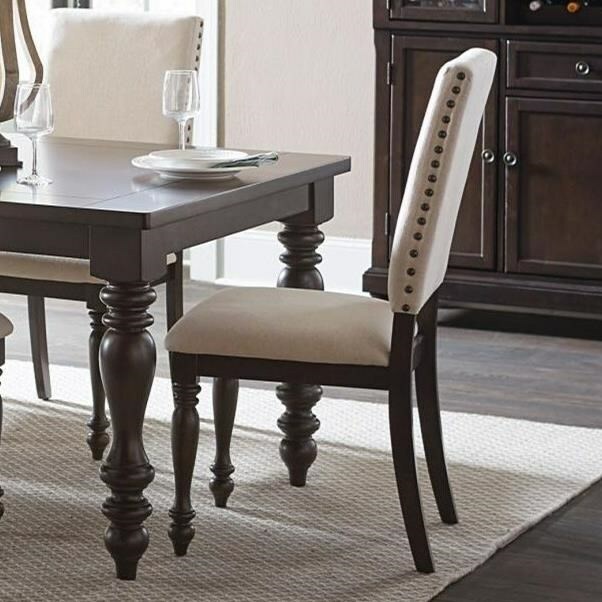 This mix of elements create an elegant transitional style for this dining side chair. The Begonia Transitional Side Chair with Nailhead Trim by Homelegance at Darvin Furniture in the Orland Park, Chicago, IL area. Product availability may vary. Contact us for the most current availability on this product.